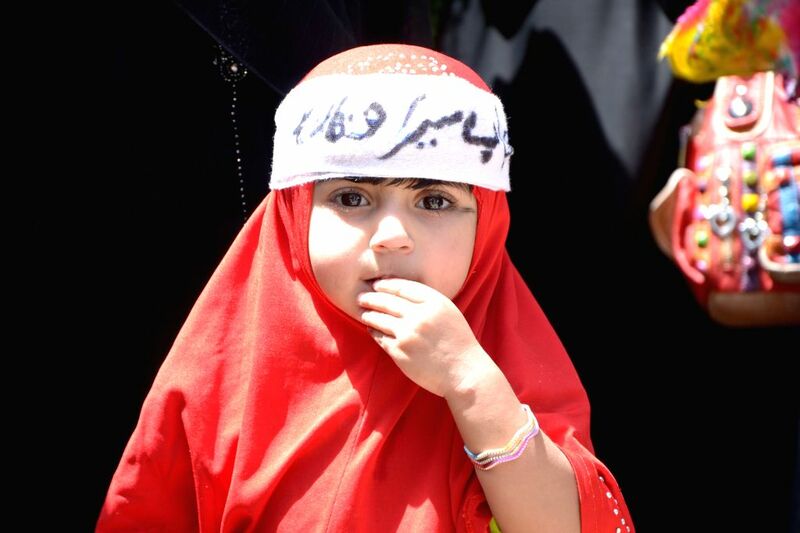 QUETTA, Sept. 4, 2014 - A Pakistani girl wears hijab during a rally to mark World Hijab Day in southwest Pakistan's Quetta, Sept. 4, 2014. 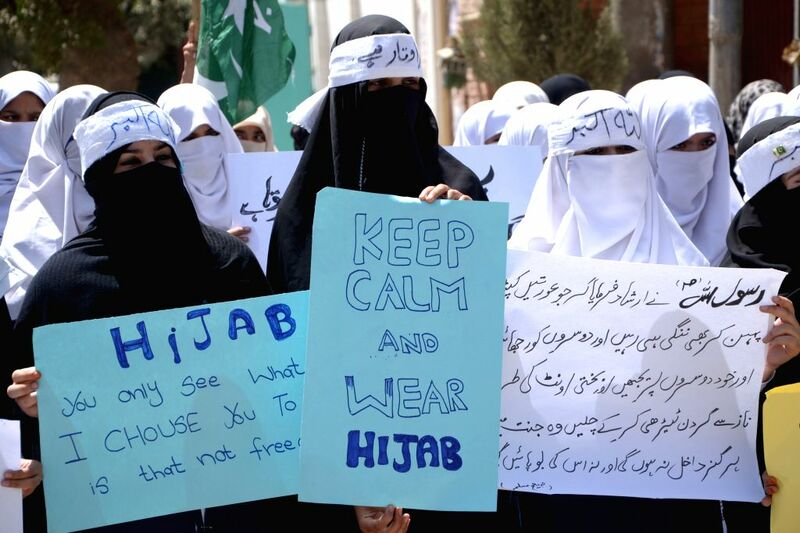 Nationwide rallies were organized to highlight the importance and value of hijab for Muslim women in Pakistan. 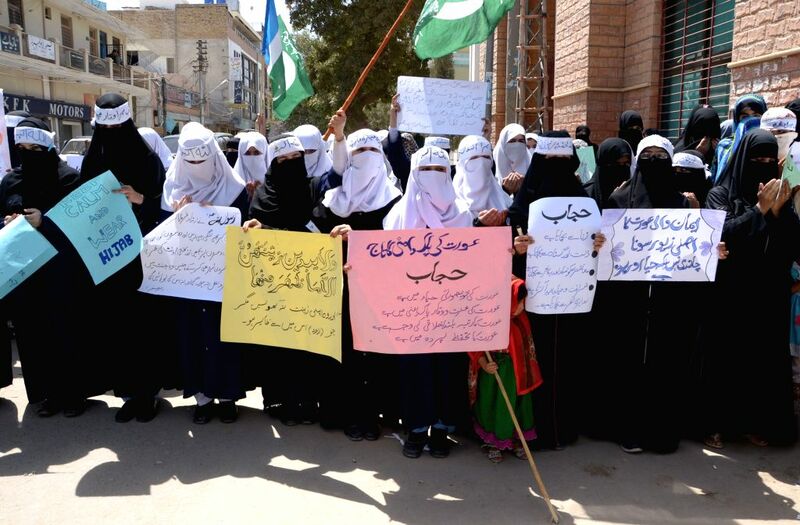 Pakistani women covering their faces with Hijab hold placards during a rally to mark World Hijab Day in southwest Pakistan's Quetta, Sept. 4, 2014.